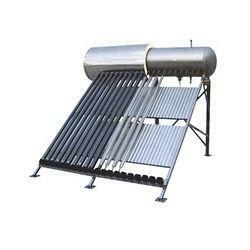 Perhaps the most cost effective solar water heaters are called "compact" or "integrated" solar water heaters. 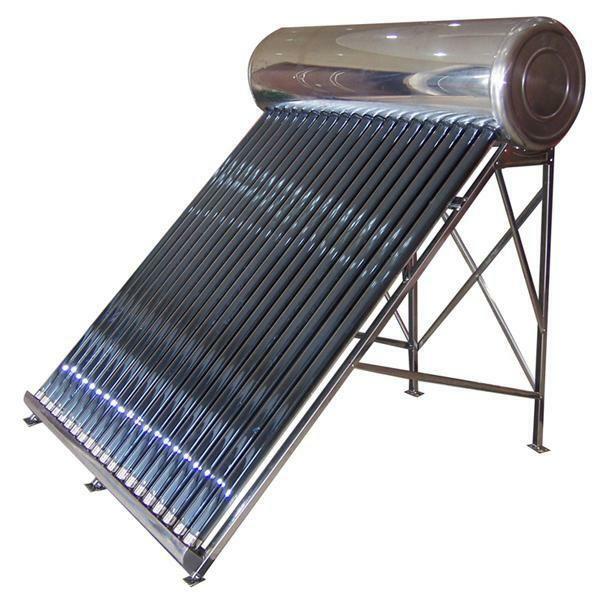 These heaters use the same High Performance TZ58 1800 SunRain Solar Collectors found on all our solar water heating system. However, these units are designed strictly for domestic hot water and have the storage tank and heat pipe vacuum tubes integrated into one complete unit. These units are SRCC certified to provide domestic hot water for a family of 4-5 persons with a 80 gallon stainless steel water tank that is heavily insulated. 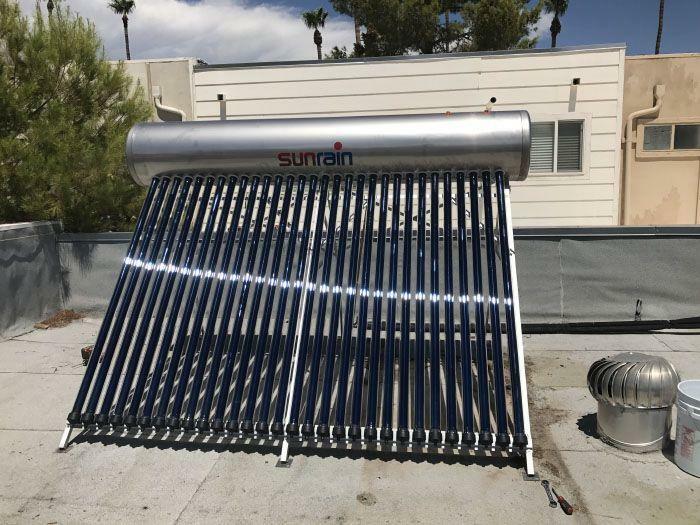 The compact solar water heater normally sits on a southern facing roof or is ground mounted with the 45 degree frame system. Connection and installation of these systems are very simple. The cold water intake from the house attaches to one end and the hot water supply to the other end. The 30 tubes contain heat pipes that are found inside the tank. The water is heated through the transfer of energy form the vacuum tubes to the heat pipes and directly to the potable water. The hot water rises to the top of the tank where it then supplies the hot water needs for the house hold. These systems are very efficient and require no maintenance. Because these systems use a vacuum tube with a heat pipe and an internally sealed heat exchanger, there is no worry about leakage should a tube get damaged. If a tube is broken you simply replace the vacuum tube with a new one and the system continuous to perform without that one tube. This is a pressurized system that has no pumps. The water moves through the system from the pressure of the municipal water supply. When you open your hot water faucet, hot water from the tank flows out and cold water flows into the tank to be reheated by the solar vacuum tubes. These systems have a built in air release valve and Temperature and Pressure Valve that opens at 90 C or 194 F. Should the system get to hot it will simply vent off the excess heat. Unlike other manufacturers, we use both stainless steel inner tank and a stainless steel outer tank to prevent rusting. Custom logos are also available to private label your water heater. These systems cost only slightly more than a regular water tank. However the life expectancy is nearly double because there is no heating element or gas burner that will eventually fail. Not to mention the 30% federal tax credit and state tax credits that apply to the OG-300 Certified Complete Solar Hot Water System! These hot water tanks don't require a solar specialist to install and can be installed quickly by the home owner or a general contractor (check your local building codes). The payback of a typical compact solar water heater is 1-3 years and with solar water heating in Hawaii it can be as little as 3 months. 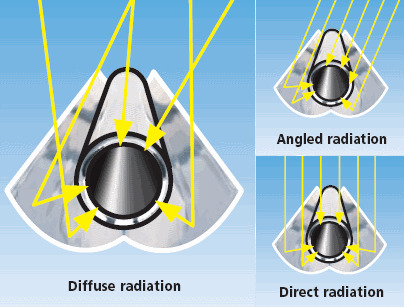 Reflective Shield for Extra Power Each Vacuum tube receives solar radiation from front and back!